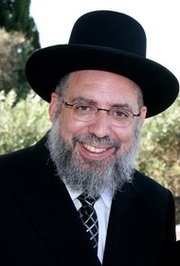 Rabbi Haber remains a sought after lecturer and speaker and has been instrumental in forming numerous learning programs throughout the USA, Canada and Australia. His easy listening approach to teaching Judaism to men and women of all walks of life has been widely acclaimed. You can visit Rabbi Haber's website at www.torahlab.org. This shiur was recorded and is distributed by Yeshivas Orchos Chaim. They are available online at www.orchos.org.